7With its Discovery Window, LiveIntent lets you turn static social media Follow Us buttons into dynamic windows on your site. The start-up says the intent is to grow your following and fans, while improving SEO and driving additional revenues from “sponsored introductions,” which are based on common interests and level of engagement. The window dynamically adjusts recommendations for each user and each page. 8Twitpay is a simple, secure way to enable your supporters to make donations to your cause and to quickly spread the word. It’s free to use use, however, it does charge a percentage of the donations actually paid including a small fee per transaction. They say they have over 45 nonprofit clients including CARE, the National Wildlife Federation and the Children’s Miracle Network. 9Optify is robust business management tool that lets you set up real-time alerts to track specific keywords and provides useful insight into your social media activity. You can create and track Twitter campaigns, and it gives insight into how well visitors from Twitter convert into leads. Optify also offers many other optimization tools to find keywords, improve your website and more. The free edition only allows for one user and tracks five keywords. The basic version costs $99 per month and allows you to track up to 250 keywords. The professional version is $500 per month and allows for 10 users and 2,000 keywords. 10 An online relay system built for charities and nonprofits, JustCoz gives Twitter users the ability to donate a tweet a day to help raise awareness for causes. Once someone signs up, a tweet will automatically be sent from their account once per day with your customized message. This tool can help raise awareness for a campaign, however, all messages go out at once and you only have the option to send the same message to all of your followers. 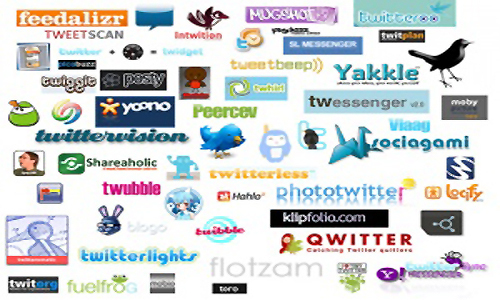 What other Twitter apps or tools have you found useful for your nonprofit? • Best Twitter dashboards for nonprofitsLindsay Oberst is a freelance writer who writes about art, culture and topics that relate to social and environmental good. Follow her on Twitter at @LindsayOSocial for social good discussions or at @LindsayOWrite to chat about writing. Great post. 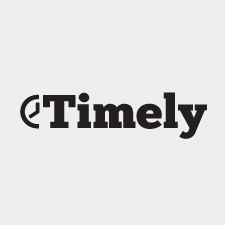 I will definitely be checking out the Timely App. As a final thought, here’s a date for your diaries: the highest clicks on shared content from Twitter occur at 9:32 AM EST Wednesdays, so if you want to get noticed, that’s the time to do it! Nice top. It`s great analysis work. Thnx. I was just searching for this information for some time. After six hours of continuous Googleing, at last I got it in your website. I wonder what is the Google’s problem that does not rank this type of informative sites closer to the top. Normally the top web sites are full of garbage.